Little Rome in Sri Lanka is Negombo. This is the town that attracted Paraguan style of music which later turned into calypso and spread across the country. Many music groups that emerged from little Rome carried the prefix either "Los" or "La" in the name to identify their band. However, there was a young banker in music from this town. He liked the Paraguan style and calypso but thought his band must be given a historical name though the style of music was copied from the Portuguese. This young man was Joe B. Perera who later became popular as Joe "Bee" Perera because he named the band "Meemasso" (Bees). The name "Meemasso" emerged from a story concerning King Kavantissa and Vihara Maha Devi. Once Vihara Maha Devi during pregnancy had a crave for bees honey. The king sent his men round the country to get a pure hive of bees honey for the queen. The tired men finally travelled towards the little Rome and found a hive of bees honey on a raft. The King satisfied with the find to quench the crave of his queen decided to name the little Rome as "Meegomuwa" which is now read as Negombo. Joe decided to call his band "Bees". Thus it became the first Sinhala named Spanish music band in the city of Negombo. Joe B. Perera initially started music with a group called "Los Muchachos" from Negombo in 1964. 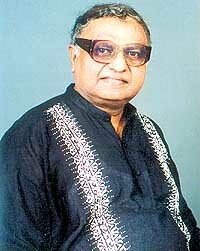 His first composition was "Yakada Thalanna" a very popular song of that era. After three years in that group, Joe decided to lead a group of his own and that was "Meemasso". By then his song "Yakada Thalanna" was a constant hit on the radio with Vijaya Corea introducing it on the "Saturday Stars" programme. As this number grew in popularity, the young banker became a blacksmith among his relations and friends. Everybody close to him called him "Yakada Thalanna" and Joe had to sing that number first wherever he went. He had a brother called Reggie in the group to give him all able support with other members Shirly B. Perera, Sisil Joe Perera, Gamini Fernando, Stanley Silva and Mark B. Perera. "Meemasso" was also known as the group of "Five Pereras" from Negombo. Joe who attracted the Paraguan style of music and the Louis Alberto Del Parana, the original shapes of Spanish style is a veteran in singing Spanish numbers. Joe was one who joined Clarence in revolutionising the style of Sinhala music into the pop style in the 1960s which was not to the liking of many who followed the oriental and classical style. Alongside Joe the others who backed the revolution with the box guitar were Noel Ranasinghe, Merril Fernando, Neville Fernando and Priya Peiris. Their support was an inspiration to Clarence Wijewardene who continued with the revolution to success. Finally many in the oriental scene at that time thought the only option was to start singing to the pop style of the guitar if they were become popular. As a few years progressed, today one cannot find a single artiste in this country who had not sung to the music led by the guitar. The oriental veterans today hail Clarence Wijewardene as a hero of the change introduced but hated him when he began to do it. Vijaya, Sanghabo and Vernon Corea were the god fathers who pioneered the introduction of Sinhala pop at the Radio Ceylon and the English Service. Vijaya continued that effort throughout and is the only living legend who knows the history of Sinhala pop groups and its songs. Musicians of that era cannot hold an event without Viyaya as Vijayas presence is an absolute must for the introduction. Thirty years is a long time where two new generation have come to see this world. They too love the music style introduced in the 1960s which enabled the young generation to follow and improve on such music. Vijaya Corea was one man who allocated time for group songs at the then Radio Ceylon. This annoyed many in the oriental style. Finally it came to a point that even the 15 minute programme for group songs were removed. It was definitely done with sheer jealousy as people like Joe, Priya, Merril, Noel, Neville and Clarence came to stay. As years passed by Joe became a very senior banker at the Bank of Ceylon and retired after forty years of service. As old soldiers never die, these great musicians of that era continued in silence. The Prince of Sinhala Pop, Annesley Malawana, another introduction of Clarence into vocals traced these great men and the groups three years ago to bring them back on stage to perform the "Stars of Seventies". Today it is a proven fact that the "Stars of Seventies" have walked successfully to the new millennium and needs no introduction afresh. These musicians and artistes have their own style. They sing their originals. They do not copy others nor compositions done by others. They are born musicians. That is why the stars of seventies have come to stay in the millennium. Men and musicians like Joe Bee Perera have contributed much to the progress of the Sinhala pop music. Their melodies and music are originals. Today we find parts of melodies and music of late Clarence Wijewardene are robbed in the manner of highway robbery by men who copy him and try to be musicians to show the country they have done new compositions. Men like Clarence, Joe, Neville, Noel, Priya and Merril have done it in style and every song is carved in the hearts of their fans. Once copied could be identified. Therefore, these young fools must stop this robbery of these creations of such respected musicians.